Shimmer Marilyn is slightly different to the other Shimmer polishes in that it has a much richer tinted base allowing it to easily be worn on it's own rather than as a layering polish. Marilyn is a dark burgundy jelly with red and crimson micro glitter. 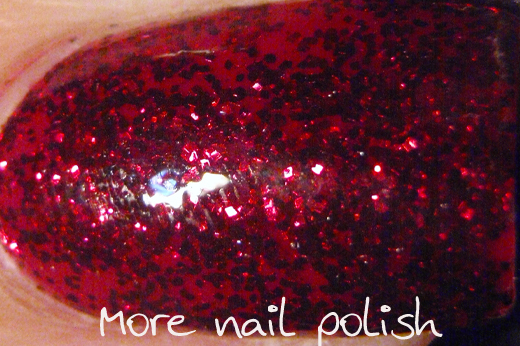 I applied two coats of top coat to ensure the fine glitters were glassy smooth. For this mani I paired Marilyn with two accent fingers that were painted with Bourjois Rose Lounge and then stamped and sponged with Kleancolor Metallic red. The butterfly stamps were off BM307, I just stamped individual butterflies so I could choose the placement and have them a bit more spread out than the original stamp design. Wow I love this shade of red, so vibrant! The sponge whit the stamping... Love it. 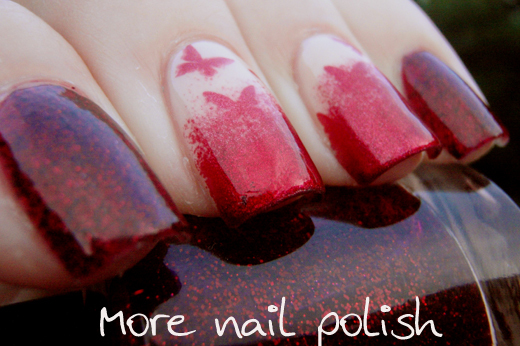 Pretty polishes, and what an amazing design. Very creative!! So Pretty! 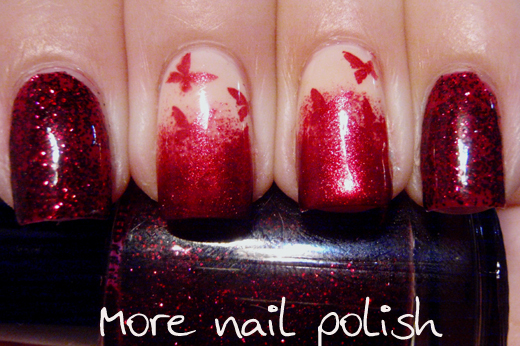 I really like the sponging to the stamping! 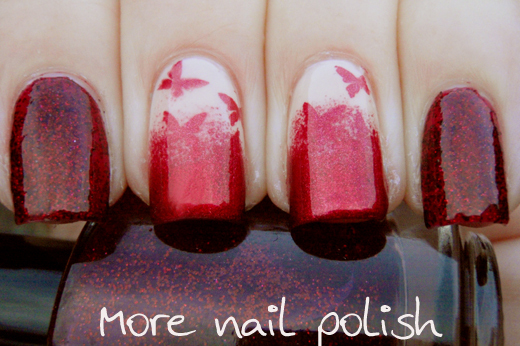 So stunning, I love what you did with the stamping - very creative!! 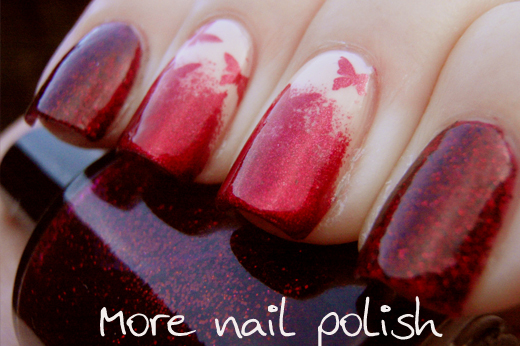 Agreed, its like gradient stamping or something, regardless I love it.